You will see titles of a wide variety of letters and church cover letters which are carefully grouped into over 50 categories and can be seen to the left. Some letters appear in more than one or two categories since their content applies to those particular categories. When you click a category, you will notice a at the top left of each letter title to expand the interface. Members and non-members can click to see a paragraph “snippet” of the letter. You may click the on as many times as you wish to view paragraphs. Then, simply click the symbol when you are ready to collapse the interface to view the letter titles in list format. Be sure you are logged in, and if you are logged in, simply clicking on the letter title itself or the link that says “Logged in Members, CLICK HERE to view full text.” When you click on either of those, you will be able to see the entire letter to copy, then paste into your Word Processing program for editing and saving. (You cannot edit the letter online). 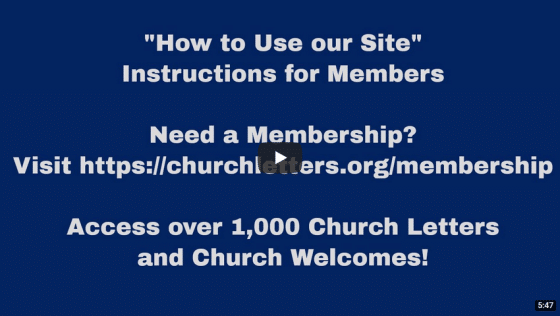 First, we would encourage you to check out our Memberships here. (New window opens). 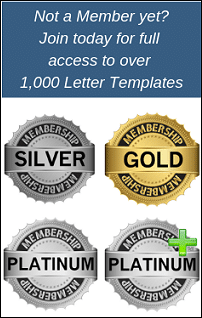 A Membership to SILVER, GOLD OR PLATINUM or our NEW PLATINUM PLUS will give you UNLIMITED AND IMMEDIATE ACCESS to ALL the letters on our site! We realize Membership may not be for everyone so that’s why we have made it possible to purchase any letter from our library for only $5! Just enter your e-mail in the space provided and click to buy the letter. You will be directed to payment information, and will be able to access the letter immediately on the web page. It will also be e-mailed to you. 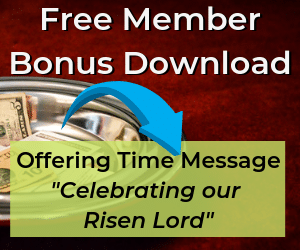 Again, thanks for clicking to our site and we trust you enjoy using our site filled with Church Cover Letters as much as we enjoyed building it!